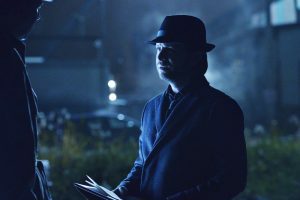 We’re coming into the home stretch of season 2 of 12 Monkeys with a packed episode that doesn’t help narrowÂ the chasm between Cole and Cassie, but that seems minor compared to the reveals going on elsewhere. 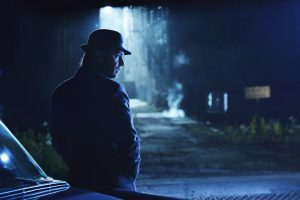 The episode marks a subterfuge with the machine as Cole presents one mission to JonesÂ while Cassie and Ramse present another based on their intel about Titan.Â Those divergent paths shift alliances and unearth a world of new information about the Army of the 12 Monkeys, Olivia, and the Pallid Man. We also get some information on how Cassie spent her time in theÂ nine months in 2043-2044 before she reconnected with Cole. 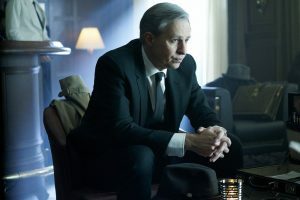 Look for the return of a much-changed Gale (Jay Karnes) plus an appearance by the always fantastic, and welcome, Matt Frewer. 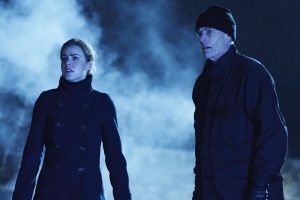 12 Monkeys airs at 9/8c Mondays on Syfy. Come live Tweet! If you’re going to be in Los Angeles on June 29th, the cast and crew will be presenting episodes 12 and 13 with a Q & A to follow at the Paley Center for Media. Ticket information is here.